For years, there has been a lot of confusion about the differences between 2 step and antilag. I just recently posted a video on Facebook of my 2G hitting 2 step/antilag and some people asked what the difference between 2 step and antilag are. So, I briefly explained it and again, I decided to make an article about it so I don’t have to explain it again. It’s much easier to post a link to a tech article with detailed information than to writing a vague comment on social media. The terms launch control, 2 step, studderbox, antilag and the like, are used very loosely. Basically, each term is used to categorize all of them as the same thing. I have been guilty of this as well. Any time I go to a car meet, someone yells, “hit 2 step.” But then the very next car meet, someone yells, “hit antilag.” Everyone treats all of the words the same. In this article, I will separate the terms and describe the differences and characteristics of each. 2 step and a stutterbox are essentially the same thing. A stutterbox is a tool that allows you to hit 2 step without having tuning software. 2 step is simply a secondary rev limiter, lower than your normal rev limiter, that activates at a given RPM under X MPH, and is used for launching, which means it is activated when the car is sitting still. Once you exceed the selected MPH, 2 step is deactivated and your normal rev limiter is back in effect. 2 step does generate a few pounds of boost. Boost levels will very from car to car, turbo to turbo, etc. Antilag uses all of the same characteristics as 2 step, but additionally, allows you to retard ignition timing and richen the AFR (air/fuel ratio), which produces more hot, unburnt gases (mainly in the turbine housing), which spools the turbine faster. The lower the timing retard and added fuel enrichment, the more boost that will be produced, but EGT’s (exhaust gas temps) will greatly increase. Hitting antilag off the line ensures you leave with full boost vs. having to build boost gradually after you launch. 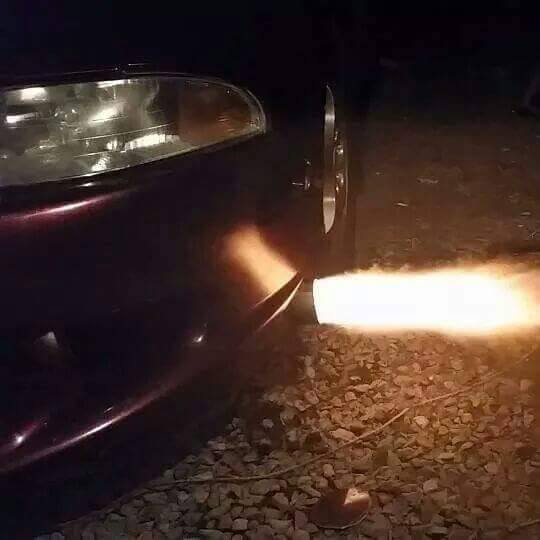 The more that the timing is retarded and the more fuel you add, increases boost levels but also creates even hotter exhaust gasses. This can do a lot of damage to your turbo, exhaust parts, and engine parts if you go overboard. Although we mainly use antilag for launching only, antilag is also used on hill climb, time attack, and rally cars whenever the driver is off the throttle and the car is decelerating. The timing will be retarded and extra fuel will be sent and this works identically to a jake-brake on a truck. The difference with a jake-brake being that the majority of the combustion is produced in the cylinders itself to allow the engine to slow the truck down whereas with antilag, the majority of the combustion is in the turbine housing allowing incredible throttle response as the turbo is maintaining boost through the entire process. NLTS, is a mod that allows you to stay WOT while shifting. It lowers the rev limiter to a set point when the clutch is engaged. NLTS is enabled after the Rev Limiter Switch Speed is exceeded. 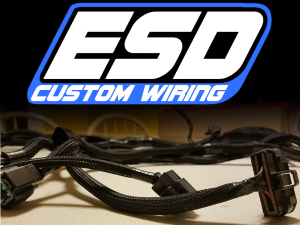 This mod requires adding a wire from the clutch pedal switch to ecu pin 91(Park/Neutral Position Switch). The Normal Rev Limit is a set RPM in which the engine cannot exceed at any given time, whether sitting still or while moving/shifting. The Stationary Rev Limit is a set RPM in which the engine cannot exceed while the car is sitting still. The Rev Limit Switch Speed is a set MPH in which the Stationary Rev Limiter is then disabled and the Normal Rev Limit then takes over. The Antilag Start RPM is a set RPM in which fuel begins to be added and timing is retarded. This is to be set a few hundred RPM below your Stationary Rev Limit. The Antilag Ignition Retard is a set degree of ignition timing retard that is targeted while antilag is being used. The Antilag AFR is a set AFR (air/fuel ratio) that is targeted while antilag is being used. NLTS RPM is a set RPM in which allows NLTS to adjust the RPM to a lower baseline by linking to the clutch switch. When the clutch switch engages, the RPM’s automatically drop to a set point (i.e. 5500 RPM) and if a shift is missed, the motor won’t over rev. The Rev Limiter is a set RPM in which the engine cannot exceed at any given time, whether sitting still or while moving/shifting. The Stationary Rev Limiter is a set RPM in which the engine cannot exceed while the car is sitting still. The launch maps are separate ignition and fuel maps that allow you to run different maps when launch control is in use. A set percentage in which the throttle position must exceed to activate Launch Maps. A set MPH in which the vehicle speed must be below to activate Launch Maps. Maximum amount RPM will drop once NLTS is activated. Throttle position percentage that must be exceeded to activate NLTS. Vehicle speed must be under this value to allow NLTS to be activated. LOAD must be under this value for NLTS to be allowed to activate.